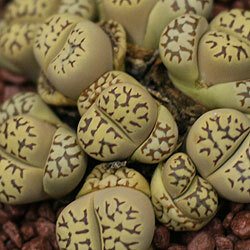 Lithops are a fascinating small succulent plant from South Africa sometimes referred to as 'Living Stones'. They really do live up to the name and could easily be mistaken for stones or maybe 'fridge magnets', they are however a living plant with fascinating patterns and pretty flowers in autumn to early winter. 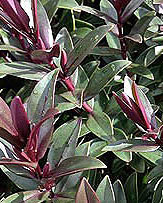 In the UK they are usually grown in pots or containers. A number of species are available for sale including Lithops dorotheae (pictured right) which is one of the prettiest of all the species. So why do Lithops look like stones? 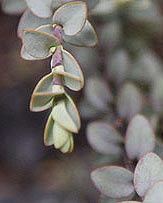 Coming from an area of extreme temperatures and little rainfall Lithops have developed a means of survival where the leaves have become very short and have lost resemblance to normal foliage, all a matter of survival. 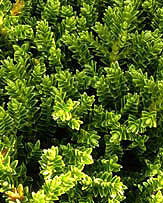 Can you grow Lithops in the UK ? 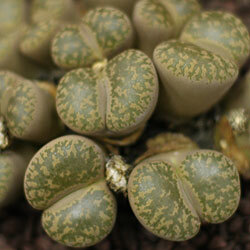 Lithops can be grown in the UK and do well when grown indoors in a warm environment with plenty of air flow. Small terracotta pots seem to suit well and use a nice open potting mix so they drain freely. Water in spring as the new foliage starts to show and allow the pot to dry out a fair bit before watering again, once every one or two weeks is usually adequate. In winter water can be withheld. 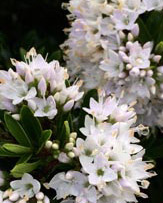 If you are lucky they will flower in mid summer. Lithops such as Lithops bromfieldii (pictured right) can be grown from seed or propagated by division.